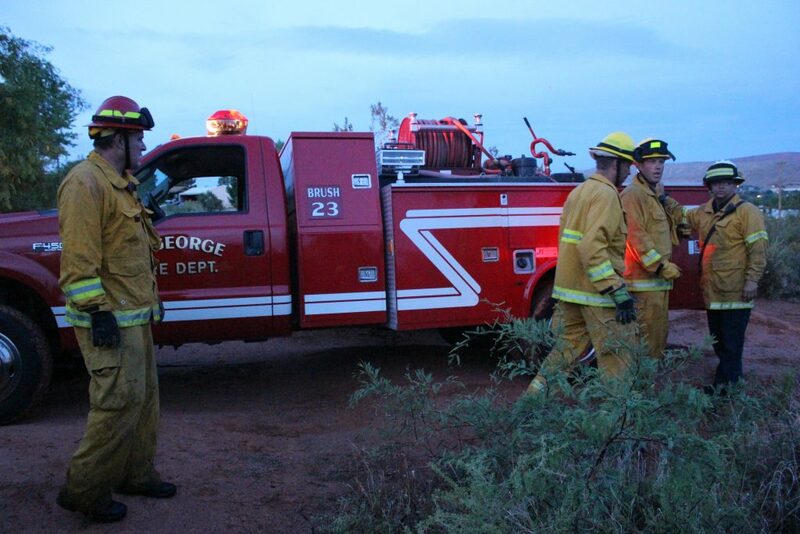 ST. GEORGE — Firefighters quickly doused a brush fire that ignited in an undeveloped field at the 2450 East Park in St. George Sunday evening. St. George Fire responded just after 8 p.m. on report of about 20-foot-high flames in the southeast corner of the park, dispatching several brush trucks to the area. 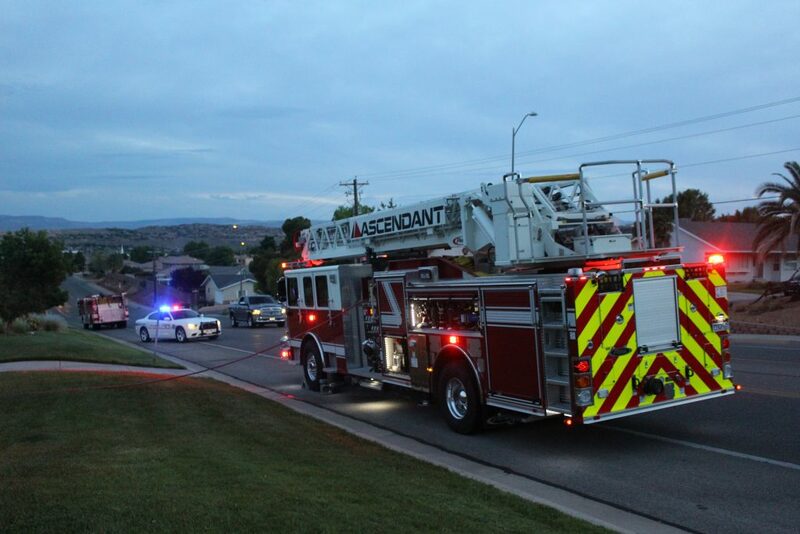 Firefighters arrived to find the area covered in flames, Battalion Chief Ken Guard said, noting that no nearby structures were threatened by the fire. 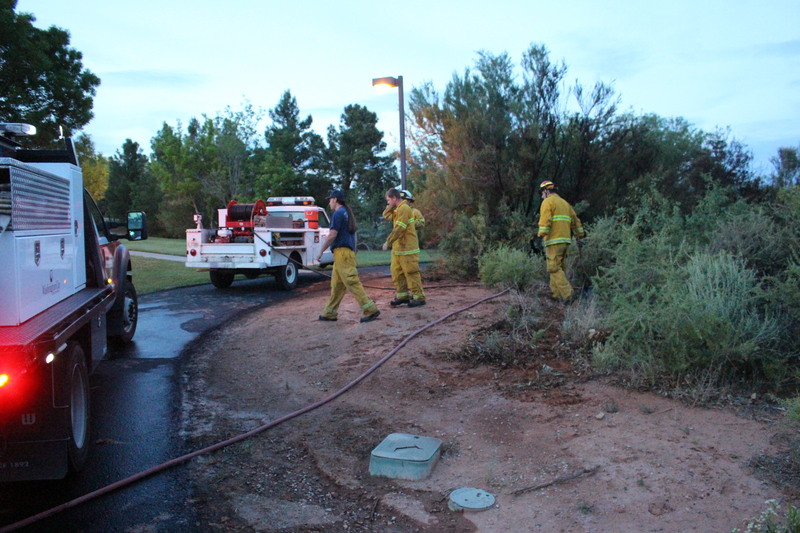 Crews managed to douse the flames within a matter of minutes. 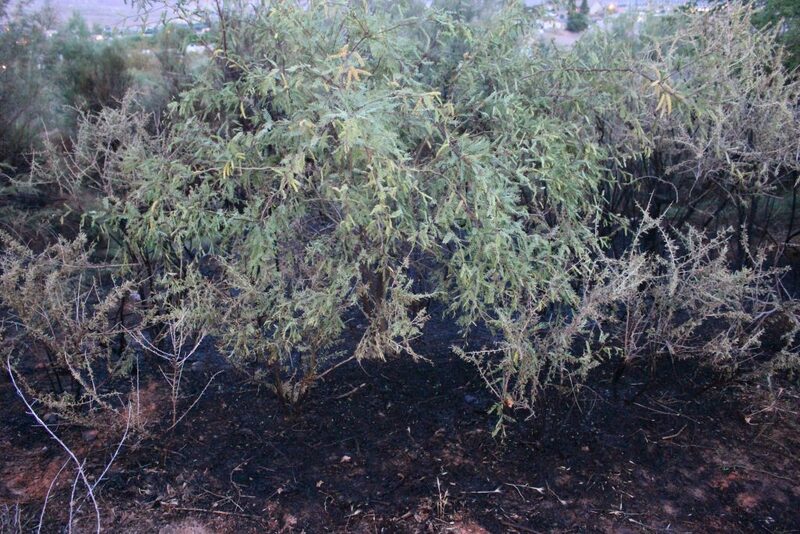 “The fire was contained to a fairly small area,” Guard said. While there was no known cause of the fire as of Sunday evening, Guard said, previous fires in the same area of the park were the result of children playing with matches. “It’s almost always kids playing,” he said. 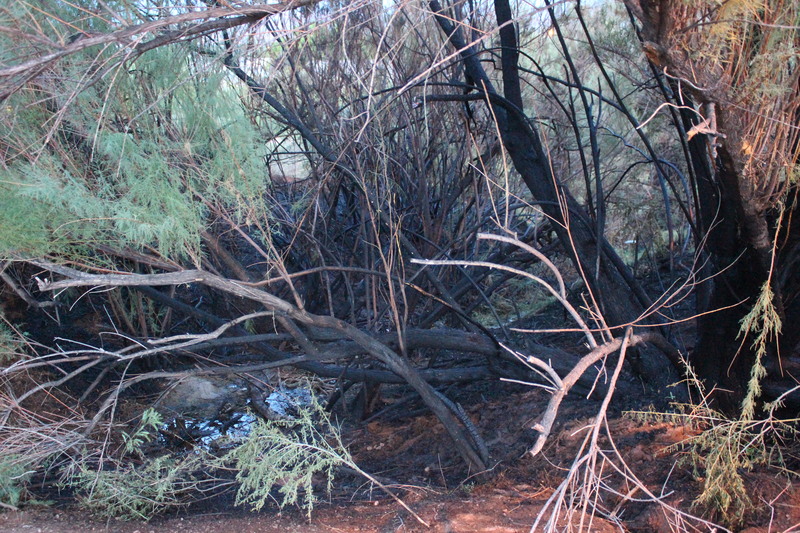 The fire left behind a small perimeter of blackened vegetation, with some large bushes appearing to have burned up. 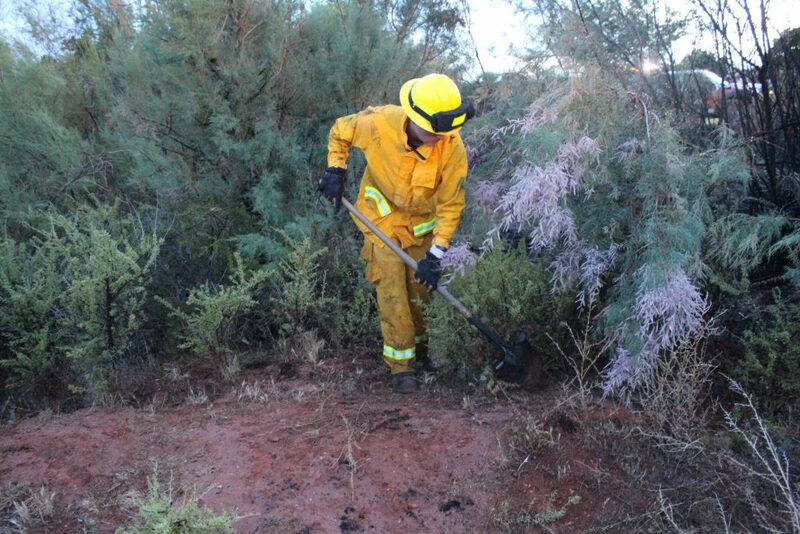 “We’ve had a couple fires in this area, but they’ve generally been pretty small,” Guard said, noting the area’s natural vegetation. 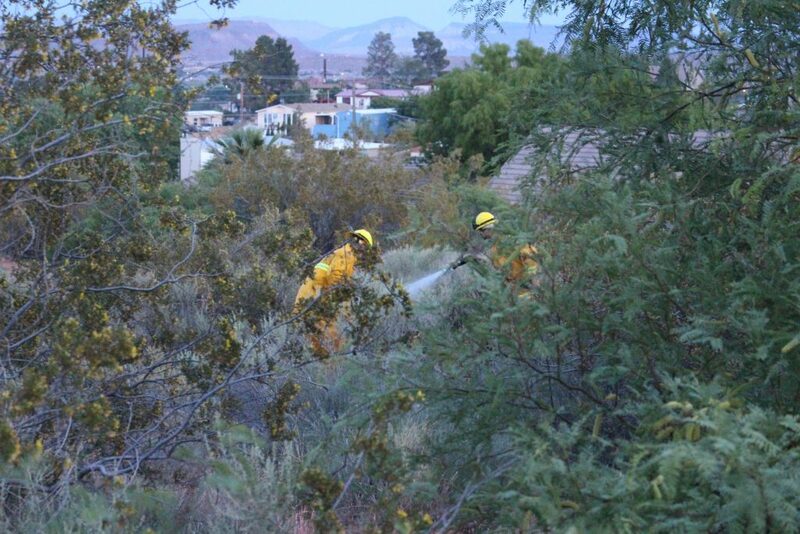 “People just need to be careful,” he said, cautioning of the increased fire potential as the weather gets warmer. 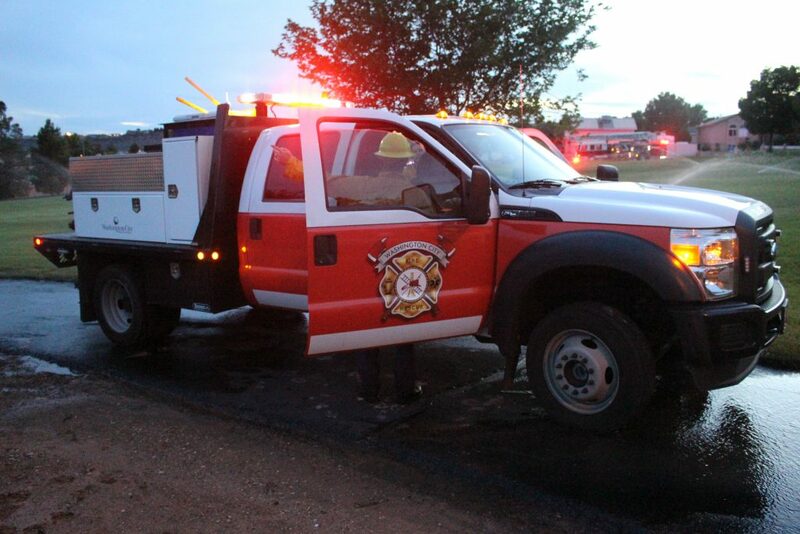 A brush truck crew from Washington City Fire Department also assisted with the firefighting effort.